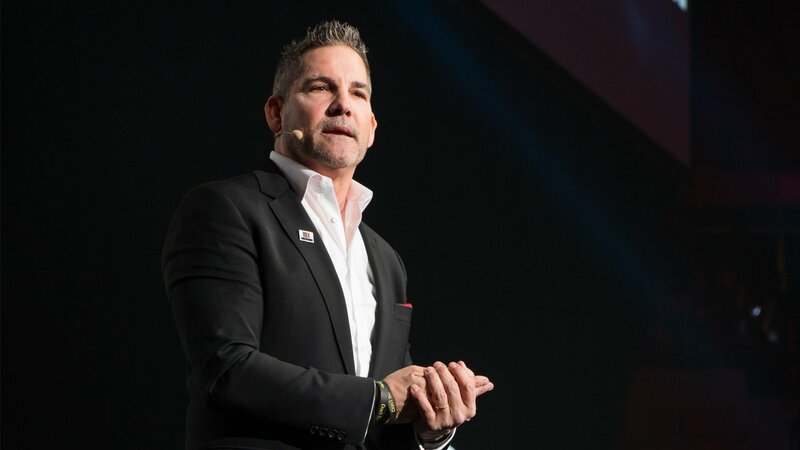 FROM THE DESK OF GRANT CARDONE: I’ve always wanted to reach my full potential and abilities. How about you? While I’ve had success, I do not think that I’ve created super extraordinary levels of success quite yet, nor do I believe I have tapped into my full potential. Others can judge me, but I know my true potential and whether I’m living up to it. Don’t let anyone else judge your success. If you don’t consider it your duty—even your obligation—to live up to your potential, then you will live a life far short of what you are capable of. I want to tell you about the 4 changes I made. These are changes you can make too. This is how I got this far and what you too can do to reach your HIGHEST potential. Do this thing every day. It is you that sets these goals. Don’t let anybody else tell you what your goals should be. Think of success like breathing air; you last breath is important, but it’s your next breath that’s vital. Goals keep you focused on what’s next, and writing them down keeps you on track. Don’t just think about what is “realistic”. The problem with realistic thinking is that it’s usually based on what others think possible. They don’t know your potential. Whenever you start a task with a mind toward an average outcome, you will only take average amounts of action. Never do anything normal. Take massive action until one day it is no longer an unusual activity but a habit for you. People will ask you, “Why are you still out this late?” “What are you doing calling on a Saturday?” “You never quit, do you?” And even “What are you on?” Big goals require big actions. Reaching your full potential requires massive actions. How do you get a nail in a wall? You hit it over and over and over. Rome wasn’t built in a day. The ability to persist on your path regardless of setbacks, unexpected events, bad news, and resistance. To continue firmly in your purpose in spite of conditions is a trait common to those who make it. Reaching your potential requires you to be persistent—there are no quitters here. How much success have you accumulated in your life? Whatever level you have attained, you can do more. Never limit your potential success, and never limit what you will do to create and keep that success. Have monster goals and attack them hard. Remember that people who are highly successful—in both their professional and personal lives—continue to work and produce and create long after they’ve flourished. Working for your potential will keep you highly motivated. This also ties into your ethical obligation. You know what you’re capable of, not others. Quotas are numbers made up by others for you to hit. How did they come up with that quota? Don’t operate by what others think is possible, work to your potential. Understand also that you will not reach your full potential without increasing your knowledge. You must train and invest in yourself to make yourself better. LeBron James is trying to reach his full potential as a basketball player because he trains daily. As a salesperson, I train daily. Anything you want to fully flourish in will require you to put in time and energy. You can’t reach your full potential holding on to where you are. Start writing your goals down each day. Choose things just out of reach, and take massive actions to hit them. Stay persistent and over time you will start reaching your potential!